Making environmentally-responsible pH control systems and products that work effectively is what we at Fortrans® do best. Ready-mix and premix concrete facilities often struggle with how to deal with their stormwater and process water. It’s a good idea to not ignore the problem. It doesn’t have to be that way. Fortrans has the knowledge and the expertise to design high performing and eco-friendly pH control systems, effective pH neutralization systems, concrete removers, and more that will help your facility stay up to code. So, what do concrete manufacturers risk by disregarding the EPA regulations for pH control and neutralization set forth by the federal government? The short answer is: “a lot.” In fact, one particular plant made news recently after being fined a whopping eight million dollars for insufficient pH control. It is important to remember that federal law, in this instance, supersedes a lack of regulation in your local area for wastewater and process water. The Environmental Protection Agency enforces the Clean Water Act, which serves to regulate pollutant levels that enter the environment through stormwater, process water, and more. It sets the standards for wastewater and defends the environment, and it also allows for inspections of your facility to see if you’re meeting those baseline requirements for pH neutralization and control. All of our products and pH control systems are eco-friendly and can be an asset to any plant owner or manager. Not complying with this regulatory body is not worth the considerable risk, especially when you consider how affordable our equipment is. pH control systems often pay for themselves over time—just ask our previous customers! 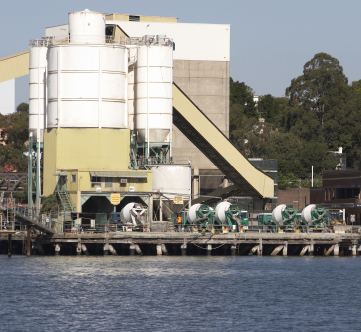 If you’re concerned your concrete manufacturing plant isn’t meeting federal standards for wastewater set forth in the Clean Water Act, contact Fortrans for assistance with a reliable pH neutralization and control system today.